To clarify on the above headline, if I could only wear 10 brands this fall and purchase an entirely new wardrobe for the season, it would most definitely consist entirely of the below. 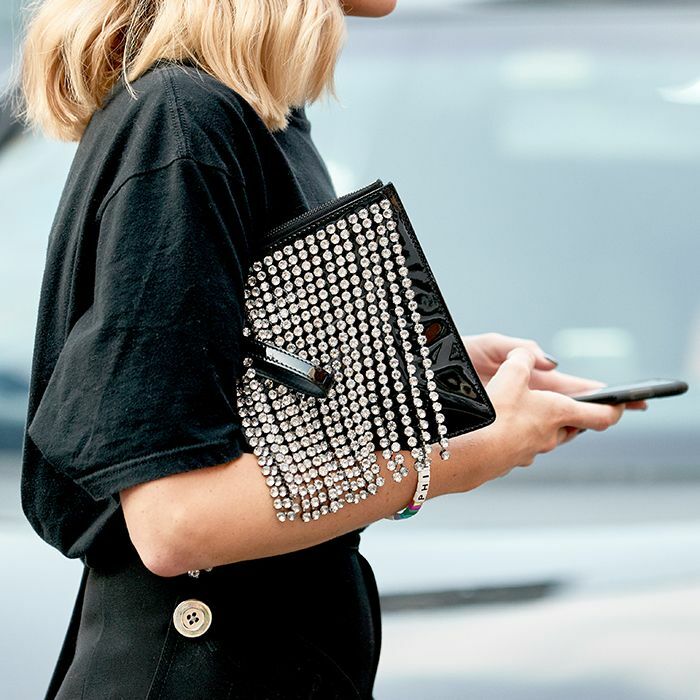 While the option to buy every single one of the items you’re about to see is, at least for me, a bit out of reach, if you happen to be looking for an amazing bag, new dress, or investment logo piece, this story is still entirely relevant because if you ask me, these are the brands that are absolutely killing it right now. From my favorite designer logo of the moment to the fast-fashion brand currently outshining its competitors, continue on to read about and shop the labels that made my list. This new brand is taking your closet essentials to the next level. Of all the logo-heavy designer brands out there, Prada is the one I'd most like to sport this season. From zebra to leopard, Ganni's just got it so right. From knit dresses to T-shirts, Jacquemus has taken all your basics and somehow made them better. I promise you've never seen faux leather and mock croc look this good. Whether you're looking for affordable trend pieces or basics, Topshop is killing it this season. Simply put: some of the best bags and shoes right now. From an of-the-moment fleece to the most statement-making statement coat, no one's outerwear is as cool as Sandy Liang's right now. Rixo always has amazing dresses, but something about this season's is especially speaking to me. Last, but certainly not least, I love the crystal trend so much I had to make it its own category, and no one is doing it quite as well as Christopher Kane. Up next: nine outfits to wear with your favorite jeans this fall.